Scheinblum: What is a full turn? 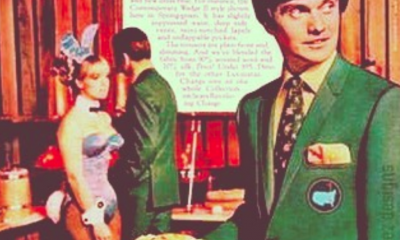 I’ve heard these phrases come out of golfer’s mouths for 30 years, and didn’t care to know what they really meant… until I started teaching golf. 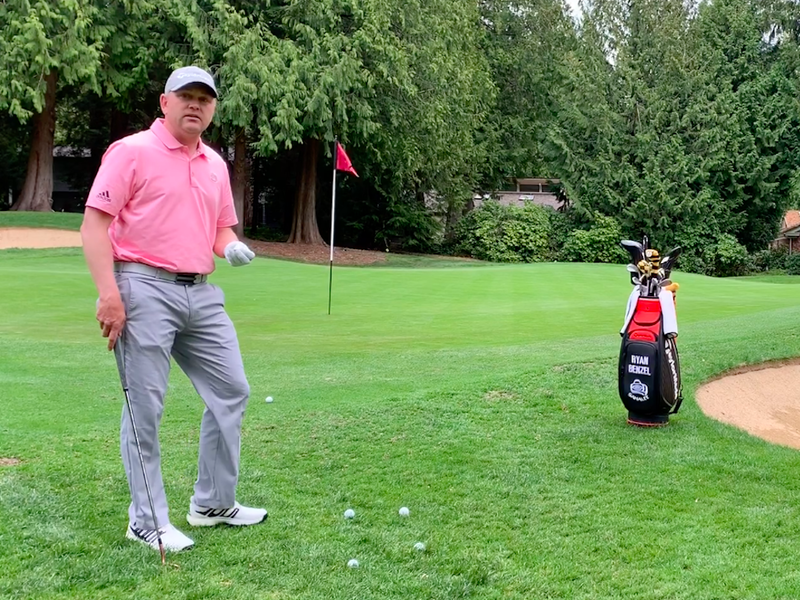 Some instructors say golfers should bring the club to parallel with their backswings, and others say that a 90-degree shoulder rotation is best (not to be confused with shoulders turning at a 90-degree angle to the spine). 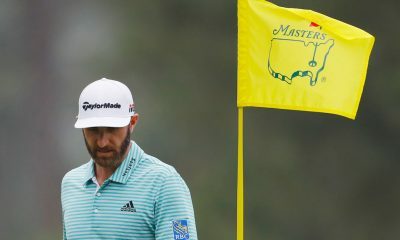 Then there are those who believe golfers should try to “turn their back to the target,” and ones who preach of getting the front shoulder over the back foot. There are several problems with all of these tips, however, starting with the fact that parallel is a meaningless, arbitrary position that only has value in that it is symmetrical. And most people do not have the flexibility to make a 90-degree shoulder rotation, which again, is another symmetrical, although less arbitrary position. Falstaff would be selling these movements if he taught golf. Now turning your back to the target seems meritorious, but it can cause a common, yet overlooked problem — the body over rotating and the spine losing its tilt away from the target or even tilting toward the target. I have come to call this reverse tilt, loss of tilt, or rotating out of tilt. It also involves the rear shoulder getting too close to the target. 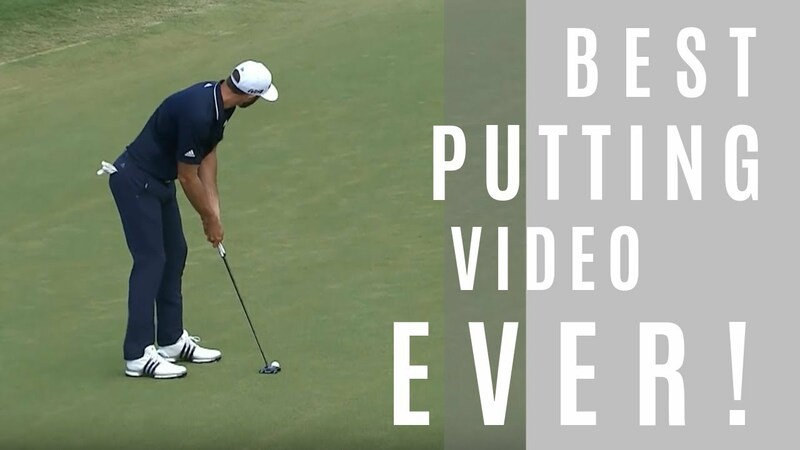 This should not be confused with a reverse pivot, which usually happens immediately on the takeaway where the weight shifts to the front side, and then shifts to the back side on the downswing — the bane of beginners and very high handicappers. Reverse tilt, which begins fine but ends poorly, is an epidemic among mid to low handicappers, as many of them do it to some extent. 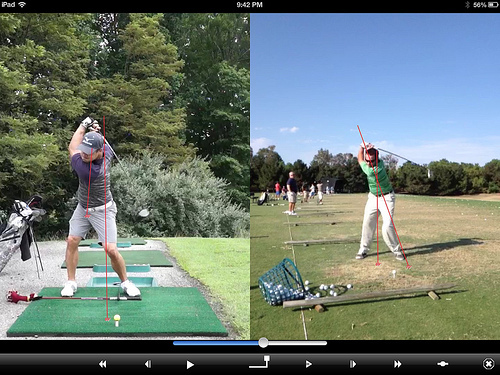 There are in fact people that can and should get the club past parallel and turn their shoulders past 90 degrees. It is almost a direct correlation between flexibility and ability to create speed for those that go to and past these arbitrary positions. 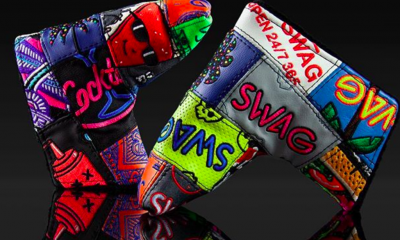 Payne Stewart, John Daly and most of your world class long drivers are famous examples. 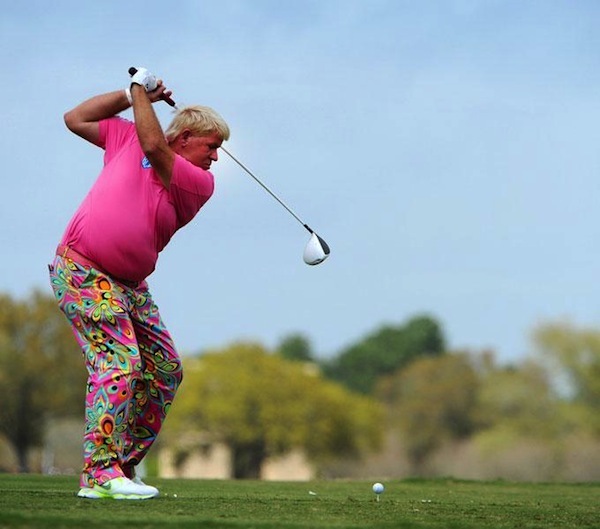 Two-time major champion John Daly takes the club well past parallel during his backswing. So again, the question begs, what is a full turn? The answer is very individual. 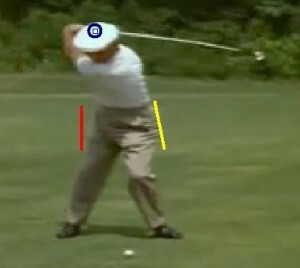 The simple answer for most golfers is that the back swing stops as soon as the shoulders reach their maximum rotation. Golfers should take care to make sure that the arms do not continue the swing when the shoulders reach that point of maximum rotation. The exceptions are for people with the ability to create speed and/or link their arms up to their turn after they have run past. It’s not an ideal movement, and there are a very few who are successful at it, such as Fred Couples. It’s extremely hard to consistently separate the arms from the body during the turn/pivot and make consistent contact. 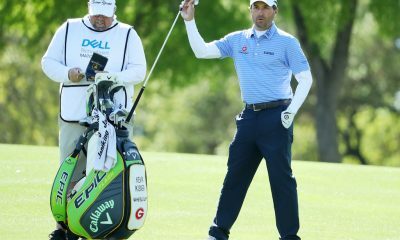 Masters champion Fred Couples has the ability to separate his arms from his turn and still make solid contact consistently. Most golfers who over run their shoulder turn with their arm swing aren’t as skilled as Couples, which gives them a backswing that is too long. As a result, they can’t generate enough speed with their turn or their arms, so they end up with what I once heard described as, “A Southern Belle limp wristed throw” at the ball. I still don’t know exactly what that means, but it sounded pretty negative to me. A full turn is created when the shoulders have reached their maximum turn at the proper angle (rotating at an angle perpendicular to the spine at address). 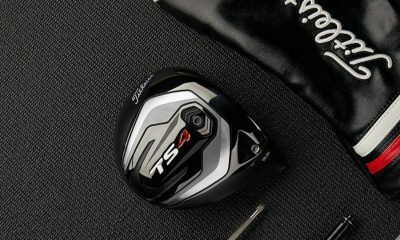 This will be 50 degrees for some golfers, and in two-time World Long Drive Champion Jamie Sadlowski’s case, upwards of 120 degrees. Most golfers will be in the 70-to-90 degree range. A full turn occurs when the arm swing does not continue after the maximum shoulder rotation is achieved. 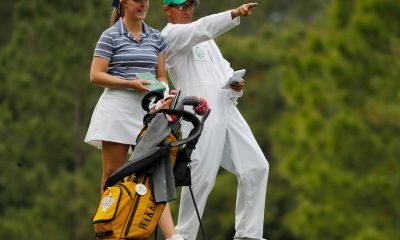 The above two issues are commonly known throughout the golf world and supported by most instructors. But there’s a third, more important answer, which is often overlooked by instructors. 3. Stay short of the point where the body can no longer sustain spine tilt away from the target. In a face on view, the rear shoulder does not rotate closer to the front foot than the rear foot. Many high handicappers violate No. 2 and are told by all their friends, internet gurus, instructors, network announcers, their wives, kids, religious leaders, mailman and Pilates instructor. As a direct result of this “arm overrun”, they lose their lag, which for the Rip Van Winkles is the magic angle between the left arm and shaft (for right handed golfers). 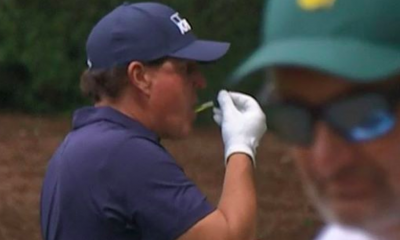 I want to make it clear that no holding of the angle, float loading, ringing the bell or Marquis de Sade endorsed training aid is going to allow these golfers to keep their lag when they violate No. 2. They can’t create enough speed to sustain their lag because their overly long backswings just won’t allow it. Yes, it’s true that a longer swing can create more speed and power for a select few, for most golfers it greatly reduces it. And since quality repetition is what creates good golf, redundancy from an instructor is not a sin and doesn’t put you in the third ring of Inferno. With redundancy being a virtue, I get to follow Beatrice into Paradiso. The amazing thing is how many low handicappers, single digits and mini-tour level players violate No. 3 and don’t even know it’s a bad thing. Not only can many of them not sustain their lag and speed all the way to the ball because their arms don’t have the room to speed up, violating No. 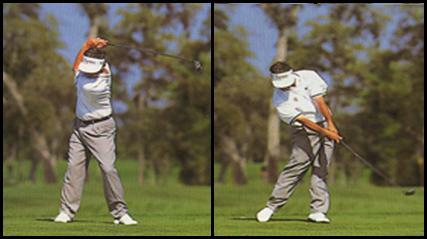 3 tilts the spine toward the target, steepening the angle of attack. Most often, the body reacts by throwing the lag angle away to shallow out AoA (so a golfer doesn’t dig a grave with an iron or put an idiot mark on top of the driver). 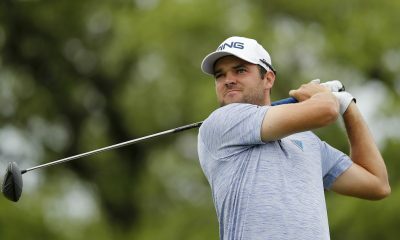 What makes it even worse is that experienced and high-level golfers know from a feel perspective they don’t want to hang back to recreate tilt at impact that all good players have with all clubs, so they end up moving the upper body laterally toward the target, exacerbating their problems. Below are pictures that illustrate this point. Photo 1 is of one of my clients who is a low single digit, next to my “playing swing.” My client’s right shoulder has rotated all the way over to his front foot and he has not tilted away from the target. At first look, this back swing looks text book as the shoulder turn appears huge, there is no arm overrun and he is not past parallel. However, he has set himself in a place where his angle of attack is going to be too steep and he gradually will lose his lag angle and have no shaft lean at impact — the two main reasons he came to me for help. Photos 2 and 3 are of my “long drive swing” that at 46 years old, I can still use at times produce club head speeds of more than 130 mph. You will notice how even in my swing that goes well past parallel, I still have spine tilt away from the target and my right shoulder has not gone across the midline of my body. That is a full turn. 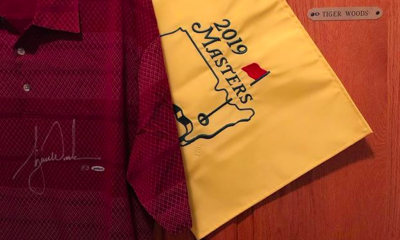 In the photo below, you will see the real X-factor on the right (not to be confused with the X-factor that caused millions of golfers to restrict their hip turn). 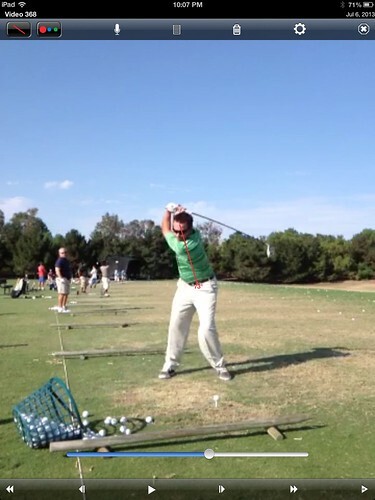 My long drive swing with a vertical line from my right shoulder to the ground and one on my spine make a nice X. 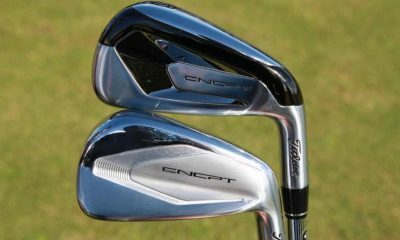 On the left, you will see a long hitting GolfWRXer who makes a huge turn, but has no X-factor. This is not a thinly veiled attempt to brag. As I prepare for the Remax World Long Drive Championships in two months, it’s evidence I am trying to practice what I preach. I’ve also included photos of Tiger Woods and Ben Hogan below. 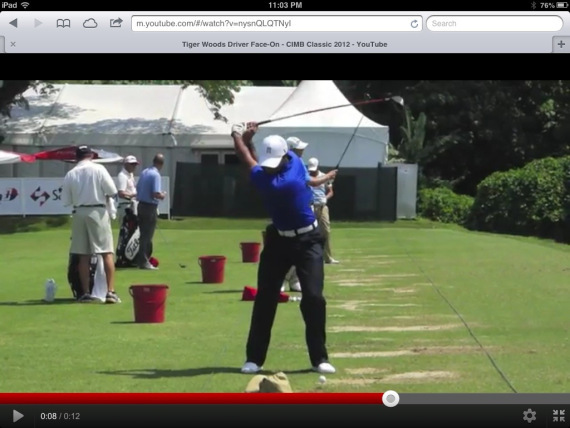 In the photo, Tiger is working on a centered pivot, and you can see that Hogan went past parallel. 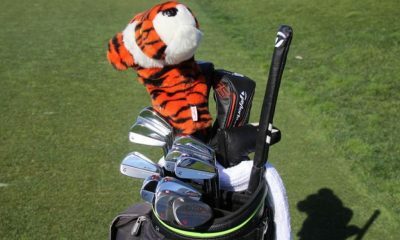 But neither Tiger nor Hogan rotated the right shoulder past their mid-line, and both sustained their tilt away from the target in the backswing. They both have real X-factor. Put a shaft across your chest and hold it cross-armed with the club head on the side of your back shoulder and stand in front of a mirror in a golf posture. Stretch to your maximum turn where your spine is still tilted away from the target and that clubhead is still closer to your back foot than your front foot. Now take the club, grip it and extend your hands away from your chest. The key is not getting the front shoulder over the back foot — it’s getting a maximum turn while keeping the back shoulder over the back foot, or at least not across the middle of the stance. That is what sustains the tilt away from the target, gives your arms room to accelerate, produces the optimal angle of attack … and wait for it … sustains maximum lag and shaft lean through impact. That is a full turn. For most of you, it will be a lot shorter than what you do. This is exactly what I am working on with my instructor. In fact, everything else we have worked on has come fairly easy, this is not coming easy as I keep over swinging. You couldn’t be more wrong about some people having 50 degrees of shoulder turn while Sadlowski having 120 degrees or so. In grad school we measured anatomical rotation of the spine on all the golfers, gymnasts, and baseball players. while restricting the hips to get an accurate measurement of only spinal rotation (aka shoulder rotation, shoulder turn, etc.) from L5-T1 (17 vertebra in total) the highest total amount of rotation was 48 degrees and that was by 2 gymnasts. The golfers and baseball players on average had 42 degrees with the highest in both sports being 46 degrees. There are countless studies out there that back up this data and healthsouth did a study years ago in the same thing on the pga tour. It is anatomically IMPOSSIBLE without shatter the spine to turn 120 degrees. I think the key in your response is “while restricting the hips to get an accurate measurement of only spinal rotation”. I don’t believe he is referring to the spinal rotation, but instead the shoulder rotation in relation to the feet. The rotation in the hips and knees would account for the rest, from what I would guess. Makes sense, I read the whole thing and I completely agree. Ive thought of this myself, and it makes sense that if you get reverse spine tilt towards the target it will cause you to have to release early to square the club up. And I agree the divot will tell you a lot, if you don’t release early to create a shallower impact you’ll dig way to much. Good stuff. Any articles/tips on ensuring that the arm swing doesn’t go “past” the full shoulder turn? Great read, that was well done. Tom, I have the same feeling. One thing is to hit balls in the driving range and other is to play. But I’m feeling that this really works. Monte is right, we amateurs do not have enough skills to turn and separate arms as pros do. 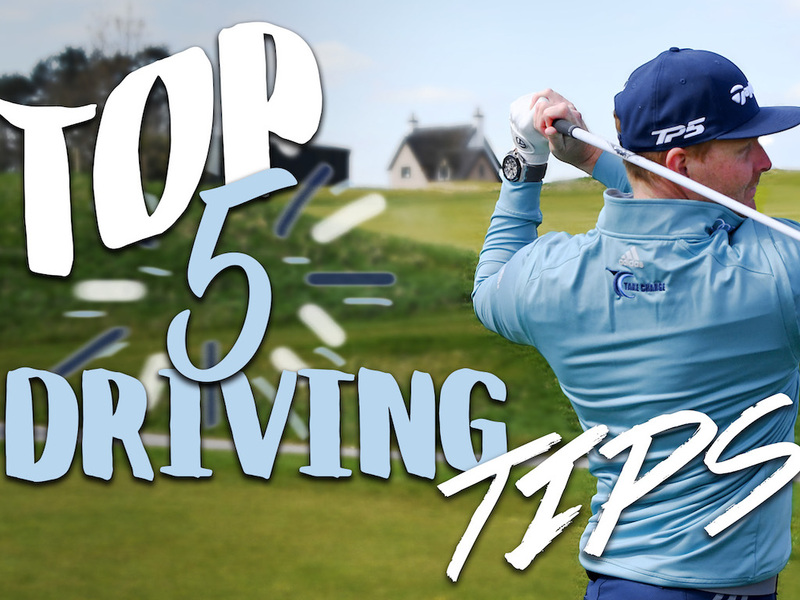 But other important thing is that you have to get away from the temptation to compensate the “short backswing” swinging hard the hands and arms in the downswing. Just drop them and let the club do the job. Monte, please correct me if I’m wrong! Great article Monte. Preach, Rev. Monte — preach! 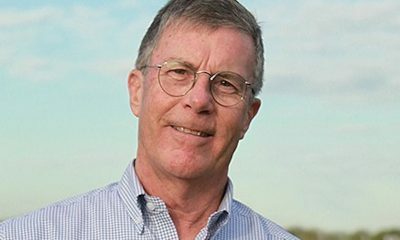 I’m 54 and play golf since I was 12. It’s amazing how my top swing is short. I was a little disapointed, but hitting some balls evthing felt different. My question is if this repeatable in the course without feeling powerless. 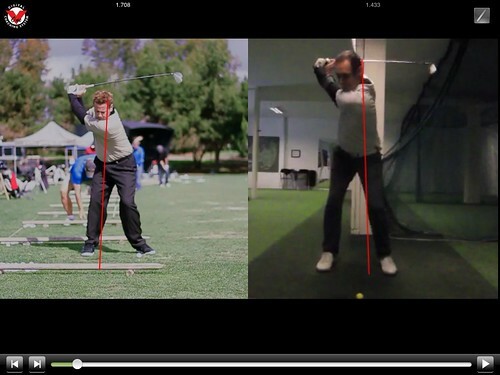 This very issue was causing 99% of my ball striking problems; keeping the arms going after my shoulder turn stopped. It has taken many months to get it in my head that what I perceive as a “short back swing”, when viewed on video, is actually quite long, and the result is a powerful strike generally in the center of the face. I feel your concern wondering whether on not one can convince themselves that what feels like a pitch shot back swing really will launch the ball that 185 yards you need on this shot. My best advise: Practice it on the range, then trust it on the course! Once you get used to the new feel…FAR more repeatable than over rotating. hey monte, im having the same problem as your client in the first photo, where my right shoulder rotates to over to my front foot. What are some ways to fix this? Do this over and over. Practice it so you know the feel. Then practice getting to this position while performing the back swing in front of a mirror. Do it over and over and over and over again. Drill it home! What cyd said was helpful. 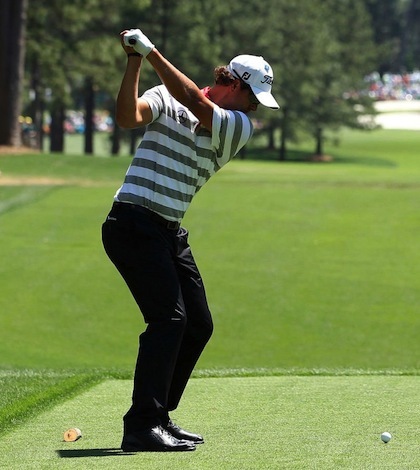 Also, hitting 1/2 wedges where you get a sense your right shoulder is over your right foot. Great article Monte! Very informative. Thanks!